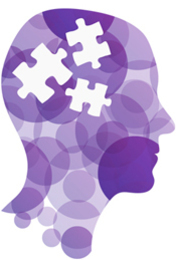 CBT is an evidence based psychotherapy that offers effective ways of change. It explores the relationship between our thinking, our behaviours and our emotions and helps us understand what maintains a problem. CBT is recommended by NICE for a range of anxiety and depressive conditions. CBT enables people to develop the knowledge and skills needed to manage their own difficulties and to become their own therapists. CBT is a collaborative process with client and therapist working closely together modifying unhelpful thoughts and behaviours to bring about emotional change. As we progress through therapy you will develop a repertoire of strategies that will help you to overcome the problem and feel more in control of it. Sessions are normally weekly and will last 50 minutes. It is difficult to be precise about how many sessions are required as it depends on each individual and their therapy goals; however a rough guide would suggest between 5 and 20 sessions. In between session work is a necessary ingredient for the success of CBT. During our sessions we will work out what might be maintaining the problem and what would happen if we do things another way. From this shared understanding we then set up a practical way of trying something different which becomes a task to practise. The aim of CBT is for you to become your own therapist. By the time we have finished therapy you will be equipped with skills to help you deal effectively with the ups and downs of daily life. MoodWise also integrates Compassion Focused Therapy and Mindfulness into sessions if indicated. As human-beings we are naturally inclined to have supportive people around us when we are struggling with daily life (rather than critical or disinterested people). Equally, we are generally quite good at supporting others when they are finding life difficult. However, when we struggle, we often become harder on ourselves; push ourselves more and criticise ourselves for our lack of progress. It is not uncommon for us to ‘support’ ourselves in ways that are the exact opposite of what we would be saying and doing for others. A compassionate mind approach explores how we can cultivate compassion for ourselves so that we can recognise when we are striving too much, comparing ourselves to others and being self-critical all of which undermines of our own efforts. In a world of competition, uncertainty and where blame is quick, it is all too easy to forget to encourage and genuinely support ourselves as we would others. We know from research that developing the skills of self-compassion can help us be more of a friend to ourselves. It can help us learn to be gentle, supportive and kinder to ourselves when we are struggling which will, in turn, help us to work with our difficulties. In order for us to work with our thoughts and emotions we need to be able to notice them. How are we feeling emotionally and physically? What are we thinking? Mindfulness helps us pay attention in the here and now, to be present in this moment and to be non-judgemental. Noticing and being aware of what we are thinking and feeling helps us to work with our life’s experiences and to manage them more effectively. Cognitive Behavioural Therapy, Compassion Focused Therapy and Mindfulness all have evidence based research to support their use. If you would like to know more about these approaches then please go to our contact page and email us. We are very happy to answer any queries you may have. "MoodWise are such a professional service and I would definitely recommend them to others."